Wednesday I saw my first two Great Egrets (Ardea alba) of the year at Occoquan Bay National Wildlife Refuge. I had the sense that they were just passing through. They were resting in the distance and I was able to capture this image of one of them. An hour later when I passed the same area, they were gone. 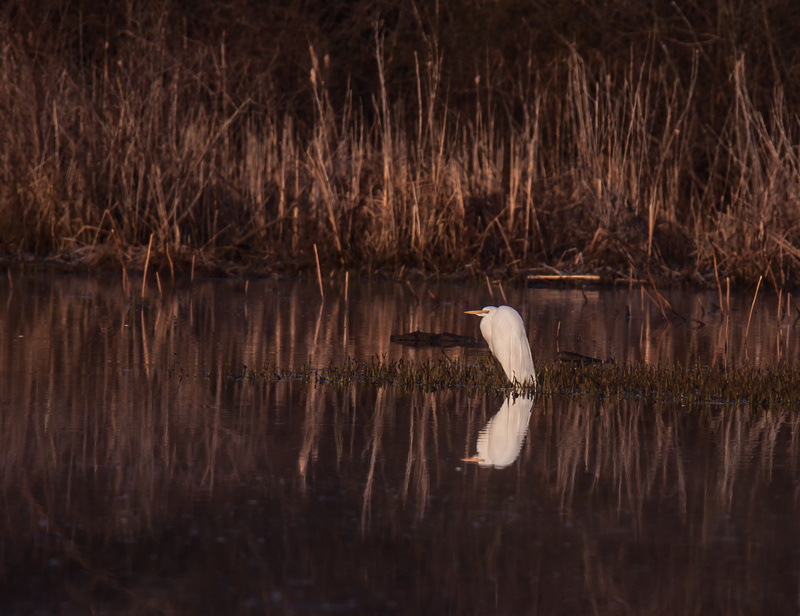 Unlike Great Blue Herons, many of which overwinter with us, Great Egrets spent the colder months in warmer locations and return in the spring. We have egrets where I live, a beautiful bird. I love them and they are even more beautiful than ever in the spring when they are in breeding plumage. Not yet for me, but I’m a bit farther north in Northern Illinois. I love seeing these guys. They have that bad-boy look down so well.